PLEASE BRING A CAMERA OR SMARTPHONE! 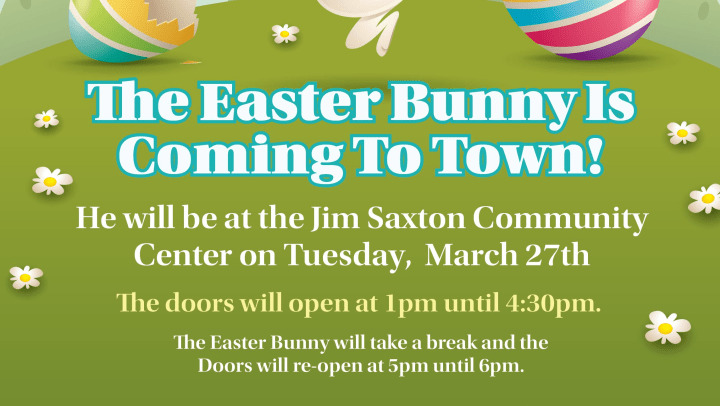 United Communities will no longer be taking the photos, but welcomes everyone to take their own and visit with the Easter Bunny. Come see him at the Saxton Center from 1pm to 4:30 p.m. He will take a break from 4:30 p.m. to 5pm and will be back from 5pm to 6 p.m.